EWING TWP., N.J. (WPVI) -- New Jersey environmental officials say reports of a bobcat or mountain lion roaming around Mercer County are unfounded. They say the animal recently spotted in Ewing appears to instead be a big house cat. Township officials had issued a warning Thursday following a sighting near Interstate 295. They had urged residents to remain vigilant and call 911 to report any sightings. That spurred the state Department of Environmental Protection's Fish and Wildlife Division to look into the concerns and review surveillance images of the animal. DEP Spokesman Larry Hajna said Friday that "we don't have mountain lions in New Jersey." 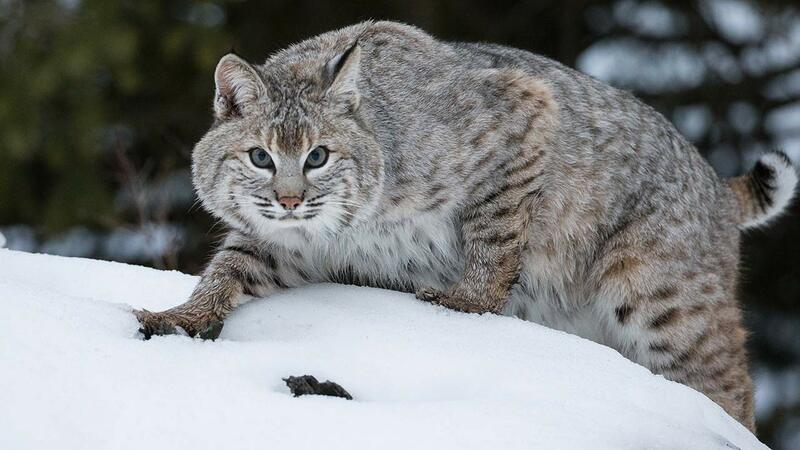 He also noted that bobcats have short tails, and the animal in the images "clearly has a long tail."